We need to make connections between prevention efforts – such as linking child abuse, sexual assault and domestic violence prevention. 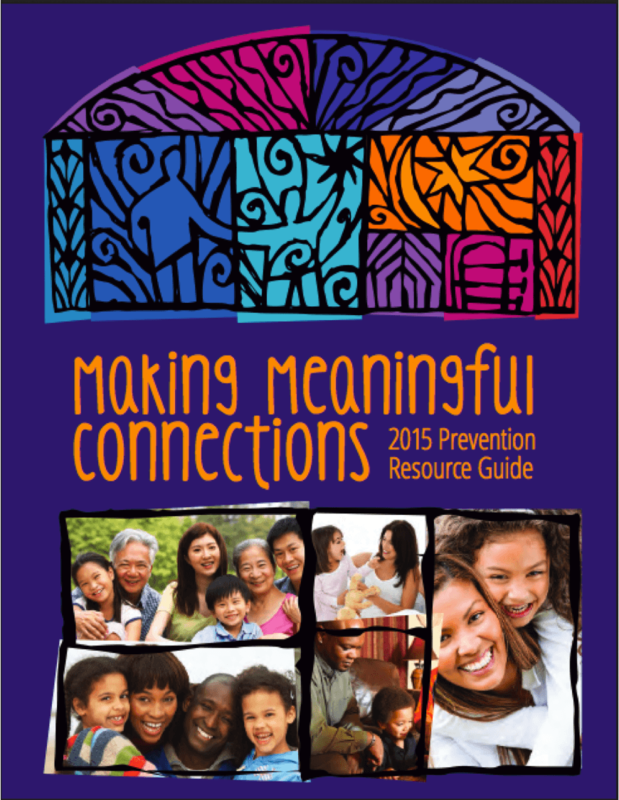 During this April, Child Abuse Prevention Month, the Department of Health & Human Services has released its 2015 Prevention Resource Guide: Making Meaningful Connections. This resource guide provides information, strategies, and resources to help communities support and strengthen families, protect children, and promote well-being for children and youth. 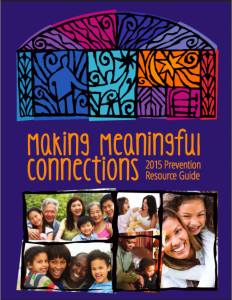 This guide focuses on promoting community well being and emphasizes the importance on enhancing protective factors. These are approaches that sexual and domestic violence prevention practitioners can integrate into their prevention efforts. 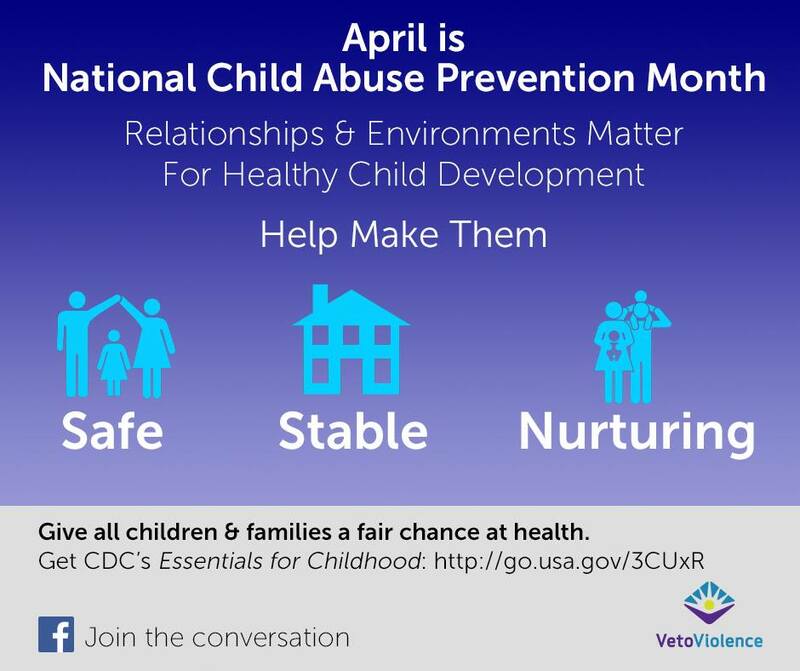 There are other resources from the abuse prevention field that are also relevant to sexual and domestic violence prevention, The CDC’s Essentials for Childhood highlights creating safe, stable and nurturing relationships and environments. PreventConnect and Ms. Foundation for Women‘s #PowerInPrevention Ending Child Sexual Abuse Web Conference series also has many tools for our prevention efforts. 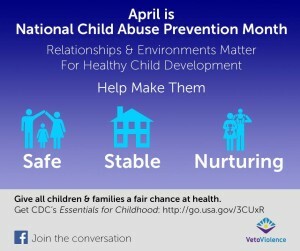 What connections between child abuse prevention and sexual and domestic violence prevention do you identify?